We're obliged to all those readers who've sent us new Street View sightings gleaned from the pretty-well nationwide coverage now enjoyed by the UK, especially those involving surveillance feedback loops. The gravitational distortion effect around the pliers suggest they've just passed through a transdimensional portal from an alternative universe where perhaps the inhabitants just take their DIY a lot more seriously or, more chillingly, entire solar systems have been subdued by pitiless, Borg-like plier creatures. 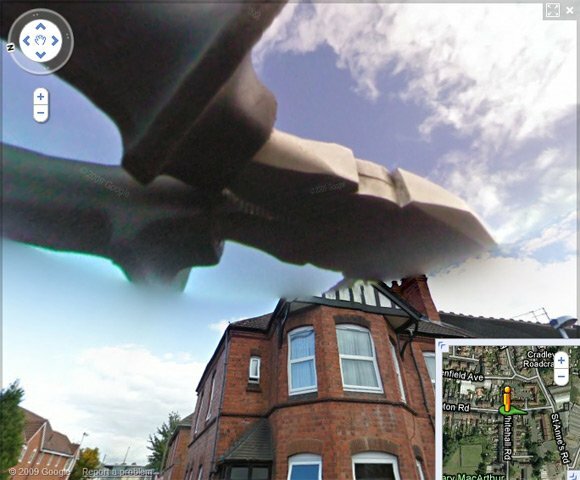 StreetViewFun is calling this piece of strangeness "God's Pliers". Divine provenance? You decide.